Have you ever wondered how much better your smile could be, if you could only make it whiter? Thanks to Olympia Hills Family Dental and their teeth whitening procedure, it is possible! Having a stained and dirty looking smile can hurt your confidence when it comes to meeting new people and building relationships. Dr. Hafen and Dr. Gonzalez are pleased to whiten and brighten patient smiles with teeth whitening, a strong supplement to maintaining regular dental check-ups and cleanings. Since 1986, Olympia Hills Family Dental has been proudly offering teeth whitening kits to our patients with great results. In-office and take-home whitening options are both available. At our practice, we also offer Whitening for Life. After your first payment, we will provide Whitening for Life patients with a free tube of tooth whitening every six months!! What is Teeth Whitening and How Can it Help My Smile? If you are looking to noticeably improve the appearance of your smile quickly and affordably, without any invasive procedures or surgeries, whitening is a great option. In-office whitening can be completed in just one visit to our office and is great for patients with big upcoming events like weddings. Take-home whitening is a convenient option for patients who want to take control over their own whitening treatment. At our office, we use KoR brand whitening. This whitening can even get rid of tetracycline stains. Our whitening kits and treatment plans are highly customized to the needs of each patient so that we can produce the perfect tooth color and shade in a safe manner. Each whitening tray consists of a mold that is formulated to fit each individual patient, and a specialized peroxide gel that is applied to change the color of your smile. An alternative can be found in dental veneers. How are Our Kits Different from the Ones Found in Stores? Over-the-counter teeth whitening kits are designed to whiten, but contain a much lower concentration of peroxide than our customized kits. Because they are a lower concentration, they do not require any supervised care, but it takes longer use to see dramatic results. Dr. Hafen and Dr. Gonzalez offer an examination and consultation prior to treatment so that you can be confident that KoR whitening is right for you. They will prepare a form-fitting custom tray that is specially designed to fit your mouth (as opposed to an over-the-counter tray) and a peroxide gel agent. These kits will provide a more predictable and balanced cosmetic solution for individual use. At our practice, we’re proud to offer Whitening for Life! 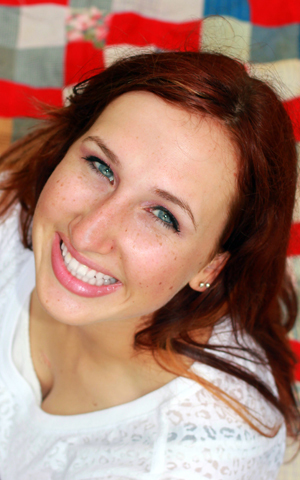 New whitening patients can pay a low starting fee of $149 for whitening treatment. After initial treatment, we’ll provide our Whitening for Life Patients with a free tube of whitening every six months! Find out more by calling us today. If you live in the greater Universal City, Schertz, Live Oak, Converse or New Braunfels area and are looking for a highly qualified dentistry team, schedule an appointment with us online or call us at: 210-658-3131.